Wandsworth Artists’ Open House is back this October with nearly 150 artists across the borough inviting you into their homes and spaces. Pique your interest in what happens behind normally closed doors and meet artists in a relaxed and informal setting, with no pressure to buy (although there is the added bonus of buying artwork without paying gallery prices!). Every venue is free to visit and offers you an insight into the amazing creativity that can be found within the borough. The event takes place across the first two weekends of October (7/8 and 14/15) and is a real highlight in Wandsworth Council’s annual arts and cultural events programme. Pick up a local trial guide or create your own discovery trail of Open Houses to visit at wandsworthart.com. 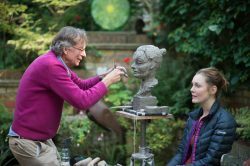 Base your trail on a particular postcode or by the kind of art your interested in there is a wide range of work on offer, including painting, textiles, sculpture, cards, bags and jewellery. 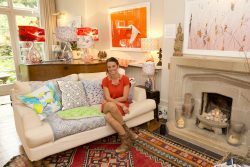 See the full list of Open Houses at wandsworthart.com. Printed guides with a map of all participating venues will be available from your local library, and at various venues and organisations throughout the borough. Brochures can also be obtained from Enable Arts Team using the contact details below. Wandsworth Artists’ Open House is coordinated by Enable Arts Team, part of Enable Leisure and Culture, on behalf of Wandsworth Council. The event is run in conjunction with steering committee of local artists.